Tommy Henderson, Broken Arrow, OK was licensed at his high school ARC in 10th grade (1977) in Sand Springs, OK. He worked for the Telex Corp for 11 years in the engineering tech area. Once they folded, he went to school in the same field (AASEET degree) at Tulsa Junior College (TCC). Encourage to teach from a friend, he started teaching H.S. electronics at Central Tech School. 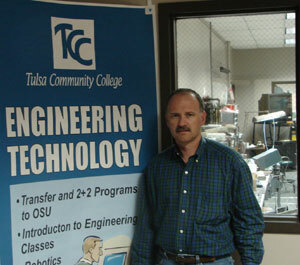 Four years later he joined OSU- Okmulgee to teach avionics and semiconductor manufacturing. Three years later an opening at Tulsa Community College (TJC were he started) became available to run the electronics department. He is currently the Interim Dean of Engineering and Applied Technology at TCC and also Associate Professor of Electronics for the past 16 years. He completed his BS degree at NSU, and the MET degree from Pittsburg State in KS. 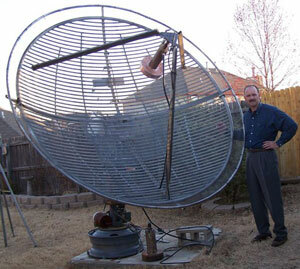 Tommy, for the past +30 years, also designs radio astronomy LNAs and Antennas through 10 GHz. Other hobbies include, QRP designing and building, and as of late Electric Vehicle drag racing, he is the current bike record holder in the ¼ mile with 260V (10.7s @ 124 MPH) of course H.B.